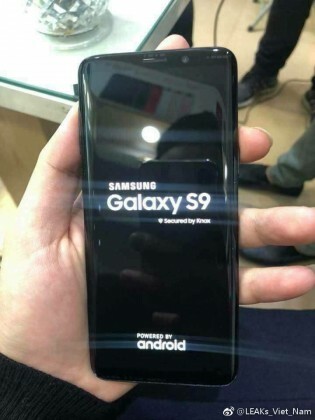 Tired of cases and 3D renders of the Galaxy S9? Well, the floodgates have opened now and hands-on photos of the actual device were inevitable. 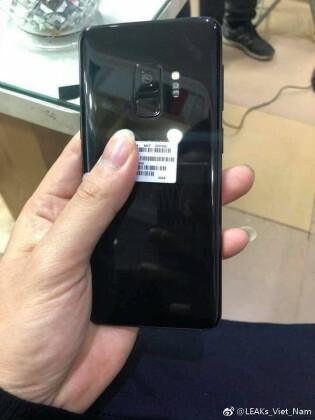 The photos show the front of the upcoming flagship as the phone boots up as well as the back with the redesigned camera/fingerprint reader assembly. There wasn’t any doubt on the matter, but you can see the Bixby button on the side – it hasn’t gone anywhere. This is the Black color option, one of four color options to be available at launch. oops forgot to tell you this: the reason why sony dont use edge screen is Not because they dont want it. it is mainly because the "Cannot" do it. They dont have abilty to do it.